BWF would like to give notice that at the close of nominations on 29 March, BWF had received three nominations, however one nominee did not meet the eligibility criteria. Since there are only two candidates for the three positions available, there is no need to have an election as planned in Nanning next month. The BWF therefore gives notice that the two eligible candidates are considered ‘elected’ to the Athletes’ Commission with their two year term starting on Wednesday 22 May 2019, the day after the date for which the elections (on site in Nanning) were due to take place. In May 2021, all six positons will become vacant and elections will be held for the Commission for a four year term 2021 – 2025. The Athletes’ Commission aims is to represent the needs and views of athletes to the BWF Council and Committees. The Chair of the Athletes’ Commission is a voting member of the Council and has the responsibility to advise Committees and Council on matters relevant to athletes. To maintain contact and good relations with the IOC Athletes’ Commission. The terms of reference detail the scope of work for the Athletes’ Commission. 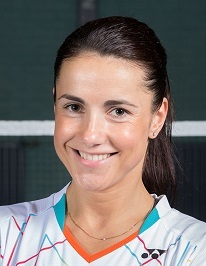 A former Dutch international badminton player, Koen was elected to serve the Athletes’ Commission for a 4-year term in May 2015 and was chosen by the other members of the Commission to be the Vice Chair. A doubles’ player, Koen won his first international title at the Portugal International 2007 and this was followed by the Belgian International title in 2009. He achieved his personal best world ranking of 22 in 2013. 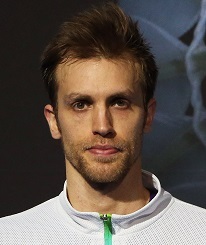 Koen retired in 2014 after representing The Netherlands for more than 10 years at an international level. Elected to the Commission in May 2017, Marc has been involved in international tournaments as a player for more than 15 years and this experience has equipped him well to be able to contribute to player welfare and having a voice for players. Individual entries, prize money, and general welfare of players during competitions are just some of the areas Marc would like to make contributions to as well as time scheduling, playing/hall conditions and players’ lounge are some others he would like to focus on as a member of the Commission. Marc believes that players must ensure they are united in voicing their concerns during their travels in order that improvements can be worked on and achieved. Sindhu is the first Indian Badminton player to win a Silver Medal at RIO Olympics. 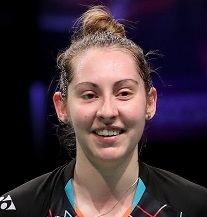 Some of her career best achievements in Women’s Singles are as above and she is ranked 2nd in BWF Rankings. Sindhu was the recipient of the Best Female Promising Player of 2016 award of BWF. Sindhu is the youngest Indian to receive fourth highest Indian civilian honour “Padma Shri” in 2015. Sindhu received highest sporting honour “Rajiv Khel Ratna” Award of India in 2016. Sindhu is Brand Ambassador for Government of India for various public utility projects. 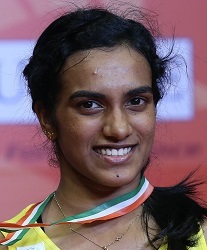 Along with other Commission members, Sindhu aims to act as a link between players and BWF by communicating the interests and feelings of the players. She would like to strive for her best to build good and healthy relations between the players, BWF and IOC. She will put in efforts to keep the Game free from doping and dishonesty (match fixing). She will work for bringing Badminton in top bracket of IOC sports. 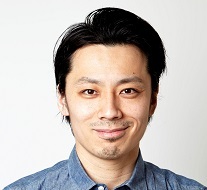 Elected in May 2015, Shintaro Ikeda started playing badminton when he was eight years old, encouraged by his father who was an avid badminton player. Shintaro is a two time Olympian, competing in the men’s doubles with Shuichi Sakamoto in 2008 and in the mixed Doubles with Reiko Shiota at the London 2012 Olympic Games. The most significant achievement in his career was winning the bronze medal in men’s doubles category at the 2007 BWF World Championships. I have been a professional badminton player for the last 5 years now. I compete regularly in tournaments ranging from International Challenge Level through to BWF World Superseries Premier. With a Bachelor’s Degree in Creative Industries Practice (Filmmaking and Screen Writing) from the University of the West of Scotland I feel she is confident in communicating and working within a team for the benefit of the badminton fraternity. Travelling to tournaments often by myself, I have made invaluable connections with players worldwide, and I believe these relationships will make me a trustworthy and reliable link for players who wish to express their feelings to the BWF. Badminton is an ever-changing and ever-growing sport and I hope to be a part of this continuing legacy in the coming years. I believe the best way to do this is by giving the athletes a voice and a platform to be heard as we are the ones who are living it every day. 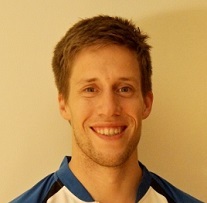 Akvile is a professional badminton player from Lithuania. She has been national champion multiple times in singles and other disciplines as well. Akville has represented her nation at two Olympic Games – the first was in the year 2008 in Beijing in China and the second one in the 2012 London Games. Her badminton career has seen her play at many international tournaments hosted in many different countries far and wide. From her travels, Akville has observed that conditions at various tournaments were generally good but there are many things that could be further improved. Among them, she listed the following areas that can be worked on – individual entry, tournament time schedules, better understanding between players and empires, more efficient price money distribution and player’s lounge. Hence, it is her wish to be able to offer her contribution to the game as a candidate such that there can be improvements in the future. In October 2016 Saina Nehwal was appointed to the IOC Athletes’ Commission – a great honour for Saina and badminton. 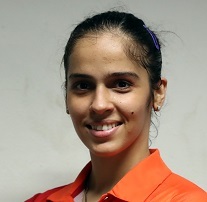 Saina is a talented ambassador for badminton and a great talent in the sport. Saina won the gold medal at the 2010 Commonwealth Games in Delhi and she also won the bronze medal in women’s singles at the London 2012 Olympic Games. Saina is undoubtedly a leading sports personality in India. In 2009, Saina was honoured with India’s highest award for sporting excellence – the Rajiv Gandhi Khel Ratna Award. In the same year she was also awarded the Arjuna Award. In 2010 she received the Padma Shri, the fourth highest civilian honour in India. And in 2016, the Government of India awarded Saina with the Padma Bhushan, the country’s 3rd highest civilian honour. Saina was named a BWF Integrity Ambassador in December 2016 and together with other ambassadors, promotes “clean and honest” badminton.